Jan-Olof Brunila is Deputy Director Group Cards at Swedbank with responsibility for strategy issues, partnerships and business development including mergers and acquisitions, regulatory issues and interbank agreements. Jan-Olof has held several management positions at Swedbank including Head of Group Card Services and Director of Strategic Development since 1997. Prior to Swedbank Jan-Olof was at Babs AB the main card acquirer in Sweden and prior to that the Scandinavian Airline credit card company. 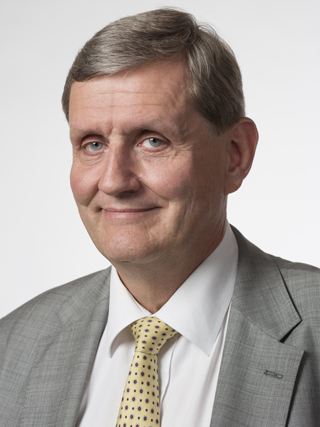 Throughout his career Jan-Olof has been Advisor to the EMVCO Board, Chair of the Europay Sweden Board and has ongoing participation in WG Card in EPC, CSG Volume Steering Group, Pan the Pan Nordic Card Payment Association and is presently serving on the MasterCard European Advisory Board. Jan-Olof received his MBA degree at Abo Akademi University School of Economics and speaks English, Swedish, Finnish and German.